RWT provides a ProgressBar control. It can be used to show the progress of background tasks. 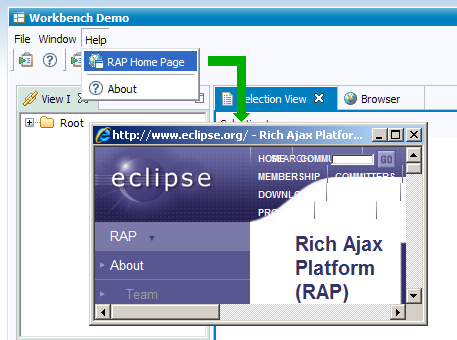 You may have a look at the org.eclipse.rap.demo.controls.ProgressBarTab class in the demo plug-in to see how to use it. 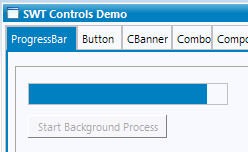 The SWT.CHECK style flag is now understood by the Table widget, along with the necessary methods and events to control and get notified about the checked and grayed state of TableItems. 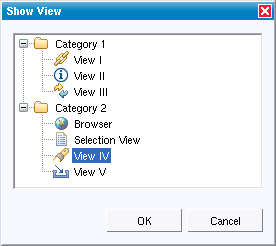 You can specify SHOW, LOG or both. 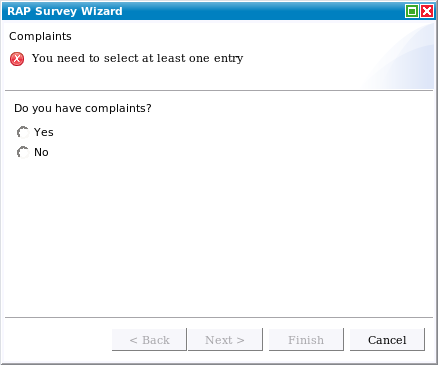 With the SHOW style bit, a nice error dialog will pop up to inform the user about the exception. The logfile of your application can be found in <working directory>/workspace/.metadata/.log where "working directory" is the directory you specified on the "Arguments" tab of your launch configuration. 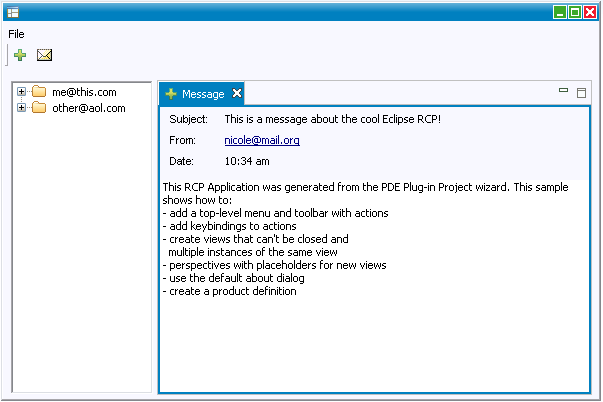 Also see Platform UI Error Handling for more information on this topic.